With what brightness does the truth appear, written with beams of heavenly light–Jesus, the Rest of the weary! “Come unto me.” The Father has made His Son the resting-place of His Church. He Himself has vested His whole glory in Christ. He knew what Christ was capable of sustaining. He knew that as His fellow–one equal with Himself–He could with safety embark the honor of His government in the hands of His Son. He confided therein Himself! His government, and His Church–all in Christ. To this “tried stone” He would now bring His people. He found it strong enough for Himself, and He knows it to be strong enough for them, and with confidence He invites the weary to come and repose upon it. Jesus but echoes the heart of the Father when he says, “Come unto me–I will give you rest.” Never did the tongue of Jesus utter words more learned, more eloquent, more persuasive. Just the word we need. By nature, we seek rest everywhere, and in everything, but in Jesus. We seek it in the sensual world, we seek it in the moral world, we seek it in the religious world–we find it not. We seek it in conviction, we seek it in ordinances, we seek it in doing the works of the law, and still it evades us. We go from place to place, from means to means, from minister to minister, and still the burden presses, and the guilt remains, and we find no rest. No; and never will we find it, until it is sought and found solely, wholly, exclusively, and entirely in Jesus. See, how He invites you, without one solitary condition. He makes no exception to your guilt and unworthiness. The word is, “Come unto me;” in other words, believe in me. To “come” is simply and only to believe. And oh! 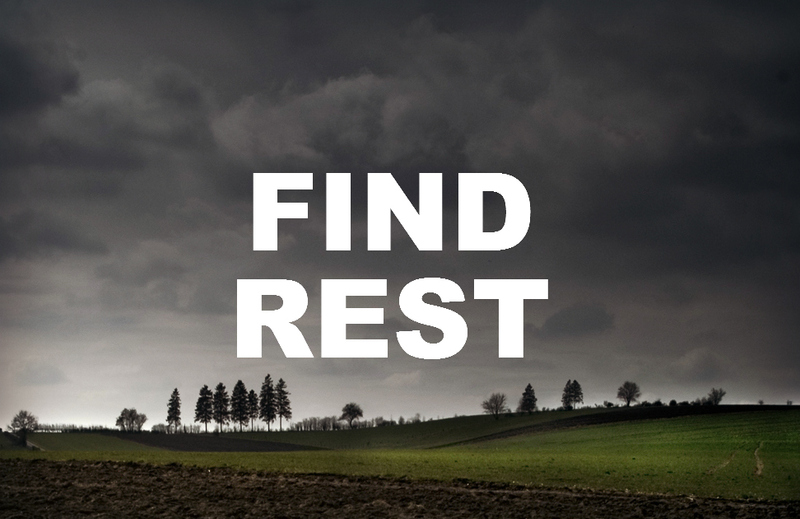 how can we fully set forth the “rest” to be found it Jesus? Let those testify who took their guilt to His blood, their vileness to His righteousness, their sins to His grace, their burdens to His arm, their sorrows to His heart. Let them tell how, in a moment, their sense of weariness fled, and rest, sweet, soothing rest to their soul succeeded. Are you, my reader, a sin-weary soul? What sweet repose is here for the saints of God. Does God rest in His love? then the believer in Jesus may rest in it too. Does Infinity, find repose here? then may a poor finite creature. Does Immanuel rest in it? then may I, resting in Immanuel. If it is enough for Jehovah, surely, it is enough for the people of Jehovah. Oh blessed rest! Poor, heart-broken sinner, weeping penitent, weary, laboring soul! what do you need? Mercy? it is in Christ. Forgiveness? it is in Christ. Acceptance? it is in Christ. The silencing power of love? it is in Christ. A reconciled Father, a pacified God? He is in Christ. All that you need is in Christ. Draw near, then, and rest in His love. The Father rests in Jesus, His justice rests in Jesus, His holiness rests in Jesus, His truth rests in Jesus, His power rests in Jesus- and in Jesus you too may rest! God rests in His love towards you, because He rests in the Son of His love. And in the Son of His love your weary, jaded, trembling spirit may find full and eternal repose. And whatever your present circumstances are, be the severity of your Father’s dealings what it may, ever remember that He still rests in His love. Judging of Him by providences rather than by promises, your faith may become unhinged from this truth. But the standard by which you are to form your views of God’s character is the same by which you are to judge your own- His word. That word declares that He rests in His love, that He now rests in it, that He rests in it at the present time, and, therefore, He rests in it at the moment that His providences in your history are the darkest and most lowering. When to your view all things seem against you- when even God himself seems against you- then is He resting with infinite satisfaction and delight in the love with which He has loved you from everlasting. 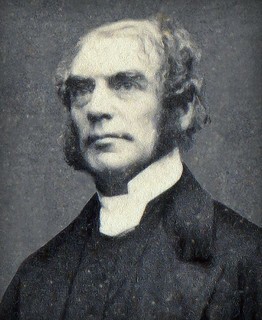 And when all the mighty wheels of His providence are rapidly revolving, when event follows event, and convulsion succeeds convulsion- when your spirit is agitated, and your heart is alarmed, and your whole soul is awe-struck and appalled at the wonder-workings of His power, then is God calmly, serenely, resting in His love towards you, unmoved, unruffled, unbeclouded by the things which convulse the universe.